From the 11th until the 13th of April, Thessaloniki was the host to the trade fair of Freskon. 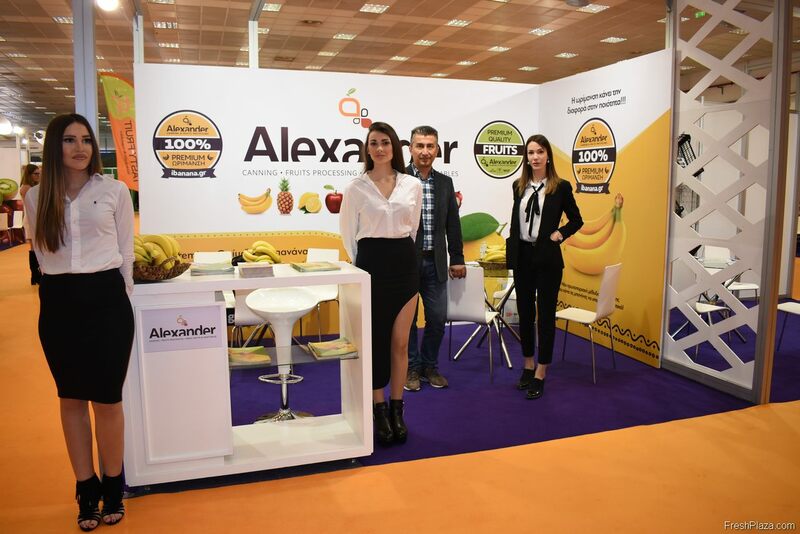 The Greek exhibition is a great opportunity for the companies who can not attend Fruit Logistica or Fruit Attraction, to still get their produce and brands out there. Potential buyers who are based close to Greece also seize the chance to meet new clients and make some deals. For the full photo report of Freskon 2019, click here. Although the fair is certainly smaller in size if you compare it with the events in Berlin and Madrid, it definitely has its place. Exhibitors even say the event suits them better, as they have more time to have face-to-face contact with existing clients than when they would meet in Berlin. Some of the exhibitors claim the fair can’t offer them too much, but they are happy to help out the event to increase awareness of the Greek produce. The somewhat relaxed attitude could be felt when speaking with the exhibitors, who gave mixed reactions on whether the fair was going to useful for them in the end. During Freskon, the International Peach Congress was also held in one of the halls. Presentations and debates were hosted over the course of the three days, looking back at past seasons, innovations and the future of peach cultivation. Although most of the presentations were held in Greek, English translations were available for those interested. With the first day being rather slow, people expected the next two days to be a bit more crowded and have more opportunities to meet new potential clients. The number of companies attending did increase this year, however mixed stands with multiple companies could also be found.